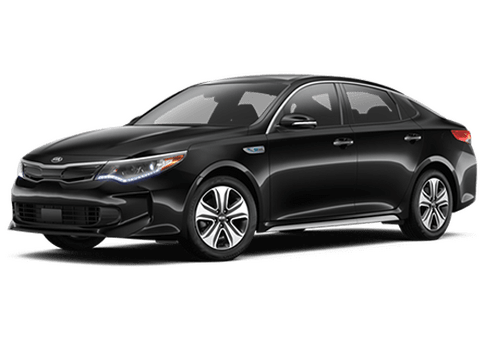 At Kia of Irvine, we're just as conscious about saving and preserving our environment as you are, and that's why we're proud to offer Kia vehicles, like the 2018 Niro Plug-In Hybrid, that allow you to do all of your daily driving while joining the cause to preserve the beautiful world around us. With all of the electrical vehicle charging stations that are popping up along the west coast, it now makes more sense for drivers to choose an electric hybrid alternative instead of a regular hybrid. While regular hybrids and plug-in hybrids both still run on gas, they're able to maximize efficiency and reduce harmful emissions. The 2018 Kia Niro Plug-In Hybrid boasts an all-electric range of up to 26 miles, or roughly the average morning commute. This means that you'll be able to drive to work without using up any gasoline! Just remember to plug in your Niro Plug-In Hybrid while you're at work and you'll be able to enjoy electric driving on your way home as well. The Niro Plug-In Hybrid is compatible with two different chargers, a Level 2 240V and a Level 1 120V, so you'll always be able to find a way to charge up. The Level 1 charger uses the same outlet as the appliances in your home, and the Level 2 charger is what you normally find at public charging stations. In addition to being one of the most economically-friendly vehicles on the road, the 2018 Niro Plug-In Hybrid is also one of the most innovative. A host of standard and available technologies come together to make driving easier and more convenient. Take the available Blind Spot Detection system, for example. Sensors located along the side panels of the vehicle constantly monitor the area around your Niro to watch out for vehicles entering your blind spot. When the system detects another vehicle in an area that you might not be able to see, it will automatically illuminate a light on the appropriate side-view mirror. Also available on the 2018 Niro Plug-In Hybrid is a Smart Cruise Control system. Much like the Blind Spot Detection system, this feature uses a sensor to monitor the area around your Niro. This time, however, the sensors are located in the front of the vehicle and they monitor the distance between your Niro and the vehicle ahead of you while you're using cruise control. When the system detects that the distance between the two vehicles is beginning to shrink, it will automatically slow down your engine speed to keep you and your passengers at a safe distance until traffic begins to pick back up, or clears up.